DINALUPIHAN, BATAAN. Thirteen (13) Japanese host farmers of the Young Filipino Farm Leaders Training Program visited three of the program's alumni in Central Luzon on January 22-23, 2019. The group, headed by Mr. Toshihiro Shimizu, Director for Operations of the Japan Agricultural Exchange Council (JAEC), evaluated and monitored their trainees after getting back from the program. "Thank you for the warm welcome here in the Philippines. 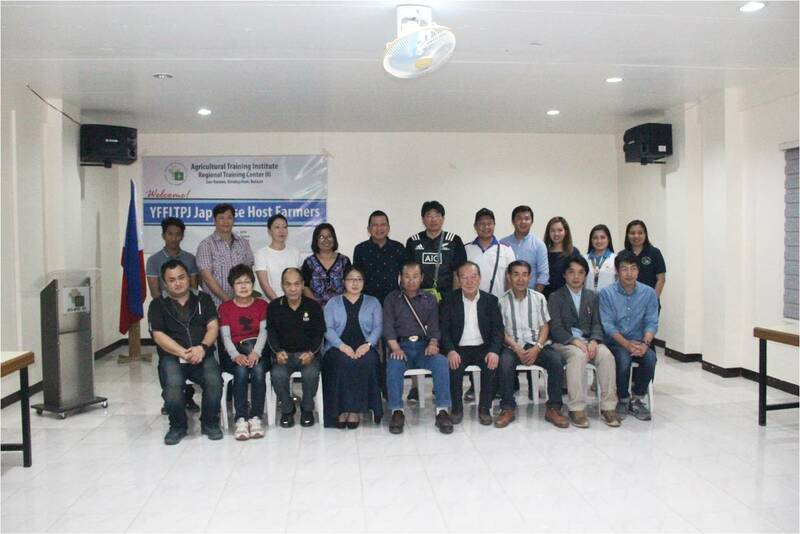 We are happy to see our trainees doing well after their stay in Japan," expressed Shimizu during the courtesy call at the Agricultural Training Institute - Regional Training Center III (ATI-RTC III) in Dinalupihan, Bataan. Mr. Alexander Paulo (Batch 2011) from San Antonio, Zambales; Ronald Echon (Batch 2014) from Candelaria, Zambales; and Ernesto Perlas, Jr. (Batch 2014) from Palayan City, Nueva Ecija showcased their farm's progress. "We are happy to see you and this is the time that we could say thank you to all the things that you have done to all our Filipino young farmers, who stayed for 11-months in Japan," said Mr. Mario A. Lapitan, Assistant Center Director of ATI-RTC III. "I hope that you are also happy to see some of the young farmers who are now successful doing some of the things that they have learned from you. And I hope that you will continuously support the YFFLTPJ program," he added.